Merry Christmas! Enjoy the HOLIDAY! 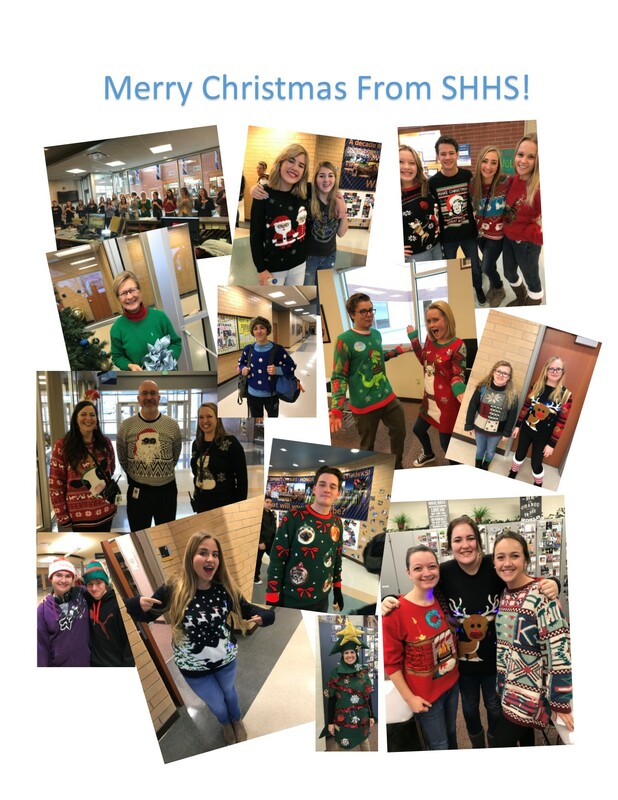 We are celebrating at SHHS. The Administration served a lovely Christmas dinner for lunch to our fantastic faculty. Delicious! As you can see the Christmas spirit was there. It's a pleasure to serve such amazing teachers who are so good to our students. Skyhawk Students of the Month! Students of the Month for December and their nominating teachers. Congratulations to our students of the Month at SHHS! 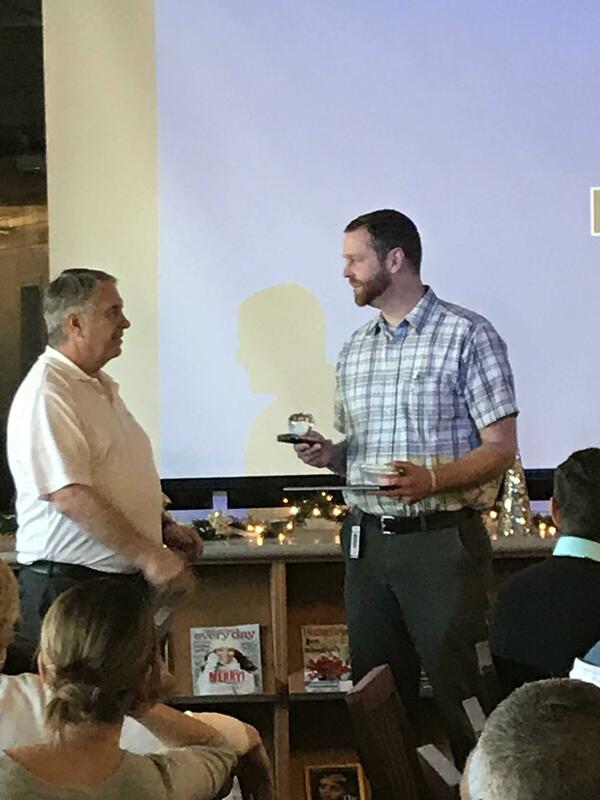 Mr. Francom wins the Crystal Apple Award at SHHS! Mr. Francom hold the Crystal Apple award! The Crystal Apple Award is given to one teacher in each school per year. Mr. Francom was recognized by his peers and chosen to receive the award this year at SHHS. Congratulations to Kyle Francom! We are honored to be able to teach and work alongside you! On Friday, December 15th we had our Pursuing Victory with Honor Assembly. It was a pleasure to recognize our students that have performed well in athletics and the arts. We also had the special pleasure of honoring one of our faculty members. Greg Wilson has been fighting cancer. He has been an incredible example to all of us of what it means to pursue victory with honor. He has been positive and strong through the whole ordeal. He and his beautiful family have been here to support all our students in their various activities. It was a pleasure to honor Mr. Wilson, and to offer some of the money that we raised in our Make-A-Wish Week to help him and his family. We are so proud that he is "One of Us"! SKYHAWK ATHLETES OF THE WEEK! Congratulations to McKenzie Graham and Decker Lewis, our Athletes of the Week!